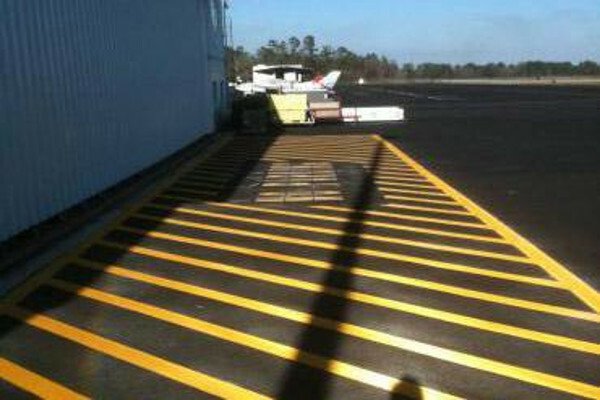 We also specialize in airfield markings have the ability to layout and paint several feet in one mobilization. The marking material is all compliant with FAA federal spec as well as the glass beads. 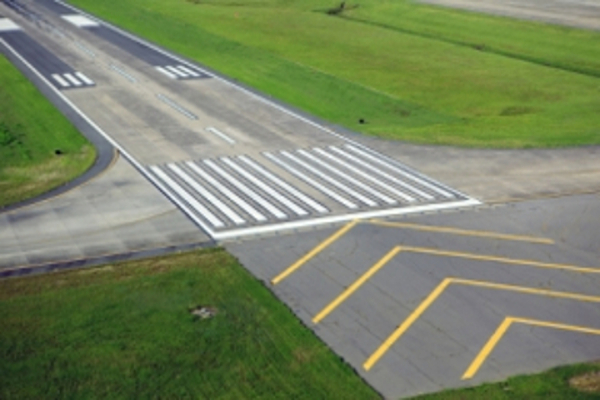 We have worked at several airfields includes Cleveland Hopkins Airport, Fostoria Airport, Ashtabula Airport, Akron Canton Airport, and many more. 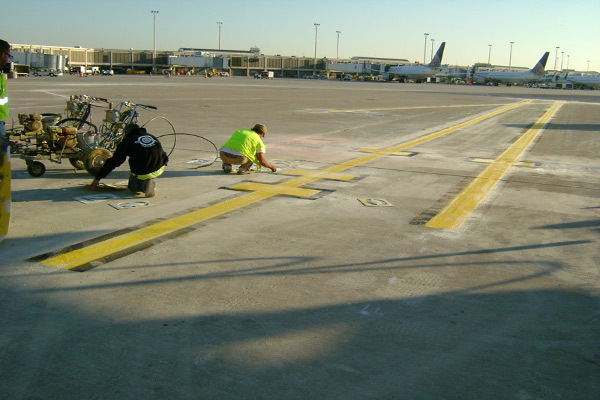 We have the ability to remove existing paint lines and rubber that sits on the runway. Please call us with any projects that need looked at.